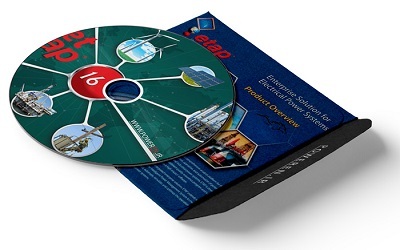 ETAP 16.0 Model-Driven Power System Design & Operations Software expands on immersive system modeling and comprehensive simulation capabilities. For nearly 30 years, ETAP has been the most comprehensive and widely-used enterprise solution for the design, simulation, operation, control, optimization, and automation of generation, transmission, distribution, and industrial power systems. More power system experts trust ETAP for their most demanding projects. Only ETAP enables users to successfully and cost-effectively conduct power system monitoring and predictive simulations, using their original ETAP design model and combining it with real-time data. By every significant measure, ETAP is the largest power system software company… and the only software provider worthy of your trust in your most demanding projects. Thanks, I have download the Etap package with activation code, it is very nice. Thanks for your fast replay and supporting. Wish Elec-Engg teams the Best! please forward me ETAP software. How to buy activation code? I need a very urgent ETAP 16 activation code. Can you help. Thanks. Hi, how to buy using other payment methods.